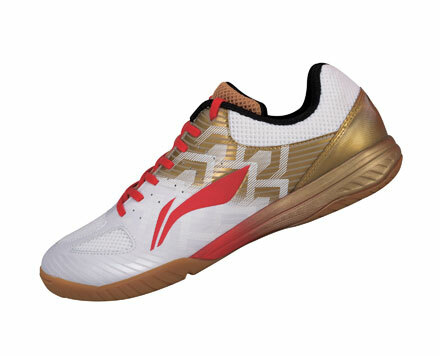 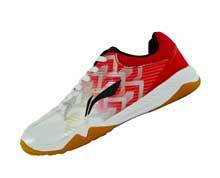 Li-Ning PREMIUM men's table tennis shoes in white with red and gold accents. 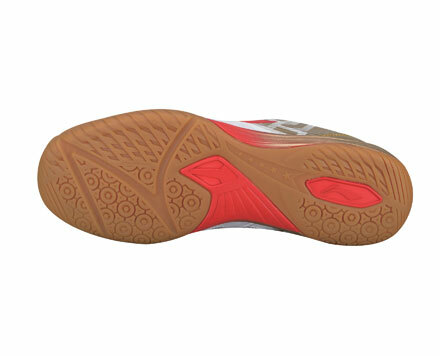 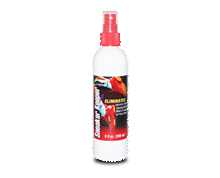 Synthetic leather, textile and TPU upper with non-marking gum rubber sole. 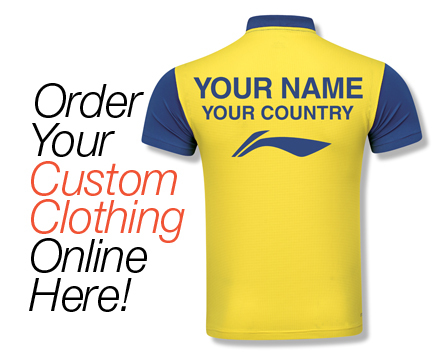 Sizes listed above are in US (North America) and millimeters. 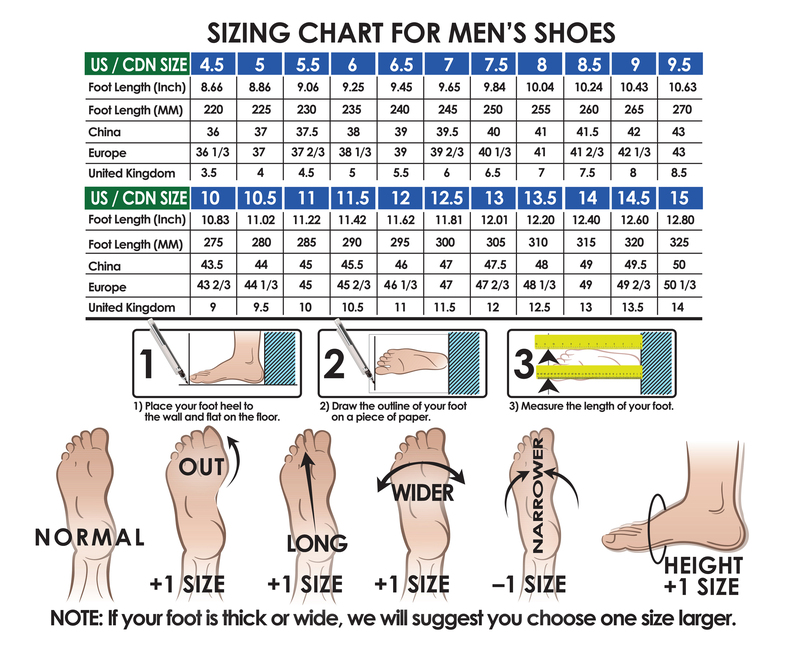 Standard width. 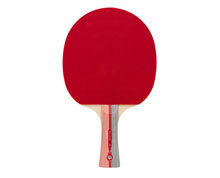 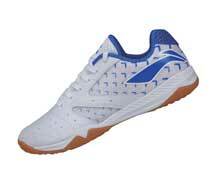 Ideal men's table tennis shoe for NATIONAL level players.